Includes sturdy cord for easy hanging! Have a little fun with your team with this Kansas City Chiefs Dart Board Game. 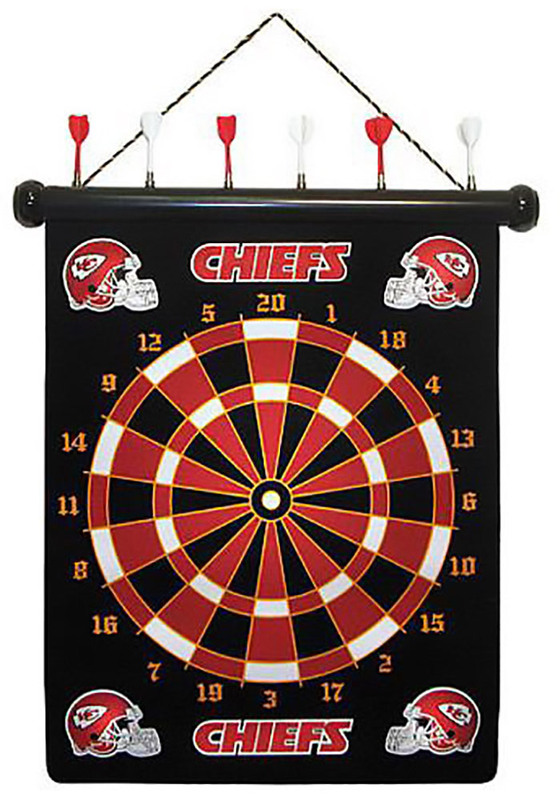 This Game features a Kansas City Chiefs magnetic dart board for hours of Chiefs fun.